Located just south of Hagatna, the main coastal village of Asan and the community of Maina are combined as one village and encompass a large area of central Guam. This village sits partly on the hillside of Nimitz Hill and partly on the flat land below it, just in front of the Philippine Sea. 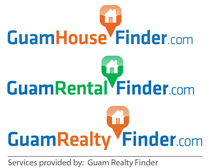 The coastal village of Asan rests along Guam’s beautiful western coastline and alongside route 1, while Maina is comfortably nestled up in the lush valley between Agana Heights and Nimitz Hill. This beautiful village is bordered by Anigua, Agana Heights, Nimitz Hill, and Piti. It is also located just outside the borders of the island’s capital city of Hagatna and is about a half hour away from both Anderson Air Force Base and the U.S. Naval Station. Living in the Asan/Maina area is peaceful and full of breath-taking views. The village has a population of over 2000 people and is both close and far enough away from the hustle and bustle of the island’s business center. Here, you can expect quiet neighborhoods, great ocean views, and the convenience of being centrally located. If you prefer living close to the ocean, the tranquil coastal village of Asan would be your ideal choice as it rests along the island’s western coastline. Asan is a residential area and has a modern looking suburban appearance. You’ll find well lit streets, sidewalks, and small yards throughout this coastal area. Here you’ll also find many two story homes overlooking Asan Bay and the Asan Park. If you prefer a little more distance from the ocean but still desire the breath-taking ocean views, and beautiful panoramic sights of the island’s cliff lines and tropical scenery, then Maina would be the perfect place to call home. Here you will indulge in spectacular ocean views and rich local vegetation. The area is full of lush vegetation, bamboo groves, colorful flowers, and giant trees. It is your peaceful retreat from the hustle and bustle of the busy streets below. Living in the village of Asan and Maina will not only provide you a safe, quiet, and peaceful living environment, it will also provide some adventure to help keep you entertained. The village has a few World War II memorial sites that you can visit and enjoy. The Asan Bay Overlook is located on Nimitz Hill and contains a WWII memorial wall and a panoramic view of the area in which the Asan battle took place. This is a great opportunity to explore some of the island’s beautiful scenery. The other World War II memorial site is the Asan Beach Park. The Asan Beach Unit of the War in the Pacific National Historical Park is a large expanse of grass, with coconut trees, pavilions, a popular walking path, the Liberator’s Memorial, and historical artifacts commemorating the battle that took place in Asan at the end of WWII. This memorial beach park is also great for picnics, barbeques, exercising, enjoying the sunshine, experiencing some of the island’s military history through fun hikes, flying kites, or playing at the beach. If you desire more adventure, hiking through the Fonte River is another hike that is always a fun and popular choice. Here you can start at the top of Nimitz Hill and make your way through the tropical jungle, experiencing the island’s beauty in its natural state. Asan and Maina is truly a peaceful retreat. Come visit Asan and Maina and experience the peacefulness. Hope to see you soon.